Use with the new NHD-000-CTL controller for simple configuration and control via the LAN, as well as for allowing control from third party control system such as AMX, Crestron, Control4, RTI & WyreStormTM Enado. The modular system architecture of this solution removes the limitations of a traditional fixed platform I/O matrix system without compromising quality or reliability, whilst offering significant cost savings when designing large scale installations. Adding transmitters and receivers as required enables the system to grow with the needs of the application. Our system uses multiple technologies to automatically configure and discover system components, making setup a breeze. Functioning on 10/100 or Gigabit Layer2 SMART switches, the system does not require advanced integrator network experience to install, nor does it require complicated VLAN configurations or PC software, making it one of the simplest HD over IP systems available. Configuring network switches takes minutes through your browser and even the largest distributions can be quickly and easily configured and expanded. 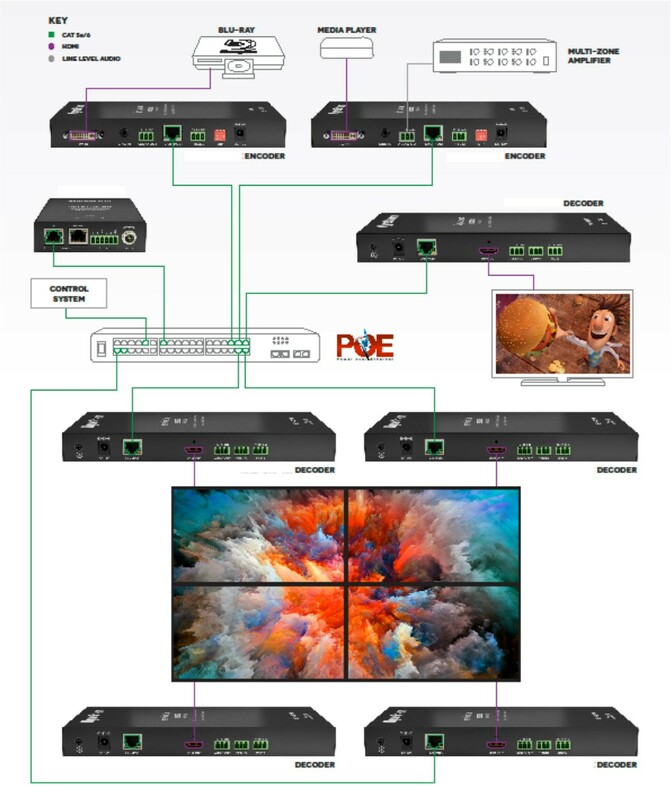 The network controller creates a simple, single interface to configure, manage and control the entire system, whilst also capable of fully integrating with leading control brands including our AV controller for the highest quality total HD distribution and control solution over a network.